RasterWeb! Software Patents are (still) Evil! Posted on Saturday, August 13th, 2011 at 3:48 pm. Subscribe to the comments feed. Both comments and pings are currently closed. Post on your own blog. 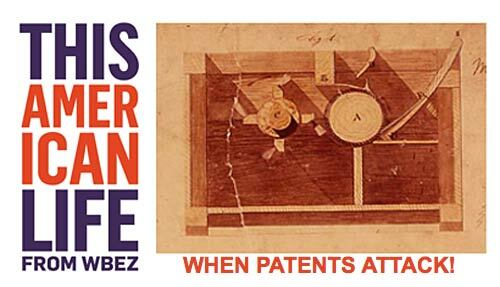 I felt the same way until I read this compelling counter-argument: The patent system isn’t broken — we are by Nilay Patel. I think both things are broken…. the system, as well as those who use (or abuse) it. Sure, but we need to identify what about the system is broken before we can fix it. After reading several posts like this over the last few years, I thought the problem with the system was the portion of the law that grants software patents, but now that I know there is no such law, it’s hard to see how all these arguments are moving us any closer to solving the problem. If the problem is we have no distinction for software patents, as Nilay argues, it’s going to be hard to get the industry behind creating such a distinction with rhetoric after years of talk about software patents being the problem. We may actually be making the problem more difficult to solve by glossing over important details like the non-existance of “software patents” in law. I’d suggest that the way these arguments are moving us closer to solving the problem is by making more people aware of them. Nilay’s article is a good one, and I’ve learned a lot more in the past few weeks, so again, education will hopefully be the outcome of these discussions.